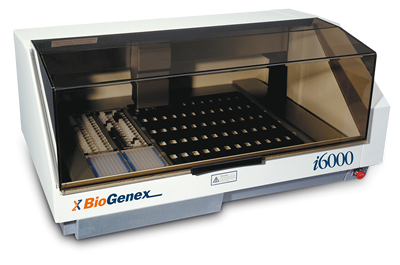 BioGenex is a pioneer in the design, development and manufacturing of advanced systems for automation of cell and tissue-based staining. 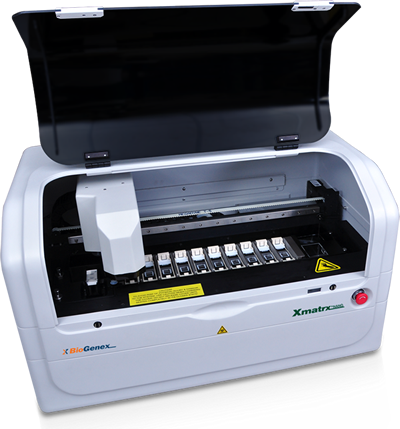 The Xmatrx research systems (NANO, MINI and Infinity) are the direct result of our platform technology innovation. They offer a variety of automation, throughput and assay applications for translational and clinical research. Our key technology differentiators, including the eXACT temperature control and reaction micro-chamber, enable any slide-based assays such as immunohistochemistry (IHC), in situ hybridization (ISH), fluorescence in situ hybridization (FISH), immuno-fluorescence (IF), co-detection and multiplex applications (double and triple stains; IHC/ISH), in situ PCR, micro-RNA and special staining. The i6000 Elite Rx is a high-throughput open-system platform for IHC and Special-Stain staining with a capacity of 200 slides in 8 hours using BioGenex Protocols. 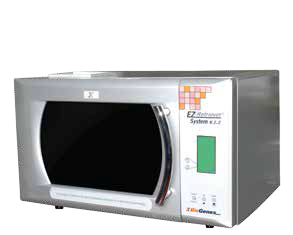 The system is supplied together with the EZ-Retriever®, for Microwave-based Dewaxing and Antigen Retrieval. 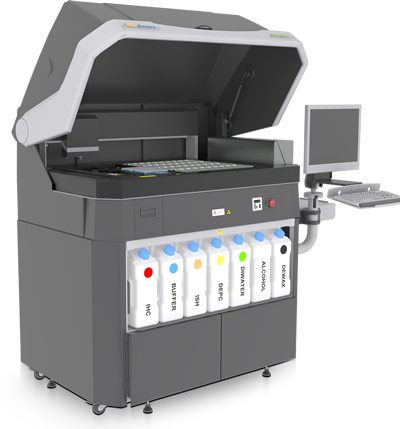 The Xmatrx and i6000 platforms meet globally accepted quality standards (ISO13485:2016 & ISO9001:2015), improve laboratory workflow, productivity and reproducibility, and are intended for clinical research (RUO) in the US. 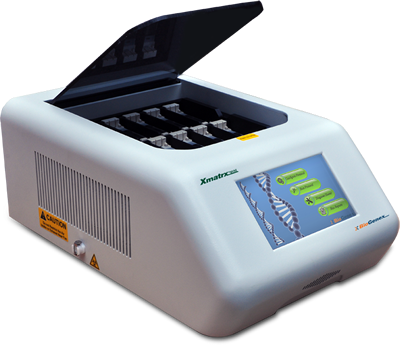 Intelligent and flexible system offering infinite possibilities – IHC, IF ISH, FISH, CISH, IF, Multiplexing and in situ PCR.